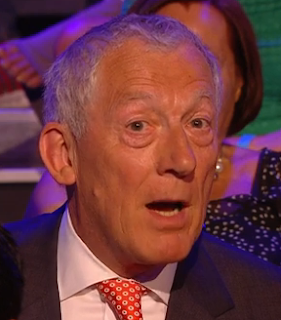 We have been avid watchers of the BBC's Apprentice programme this year - for obvious reasons. 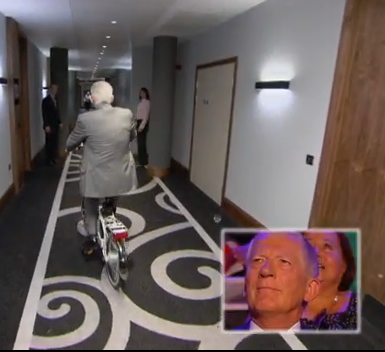 Tonights final was no exception as we rooted for Luisa who loved our electric bike the Dash when she saw it in episode seven. Tonight though the Dash gained a new champion in Nick, who was heard to say "I quite like the idea of one of these things" as he whizzed along. He was captured by the film crew riding the Dash in the corridor of the hotel in Birmingham where filming had been taking place. "I quite like the idea of one of these"
The lovely weather certainly brought out crowds of bike fans yesterday. 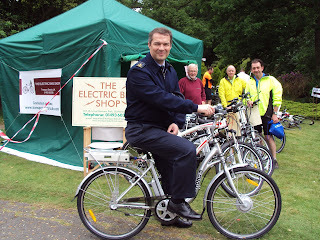 Electric bikes were the hot topic for conversation for the Services as well as commuters and leisure riders. Stoke on Trent is quite a long way for me and we had to be there at 7.30 so my alarm went off at 3.30am which did seem totally bonkers! We were all set up ready for the day by 8.30 and by 9 o’clock the early crowds were starting to arrive. For us it was a different type of show as it is mostly motorbikes, but even so everyone was interested in two-wheeled riding. The show is free to visitors so many people look at it as a lovely family day out. There were lots of arena events going on all day with stunt riding both on motorbikes and bicycles and a wall of death show which had the crowds enthralled all day. Batribike electric bicycles were joined on the stand by local retail partner eBikeShed who are based very locally in Leek Road, Stoke-on-Trent. There was loads of interest in the ebikes all day with test rides available straight from the stand. 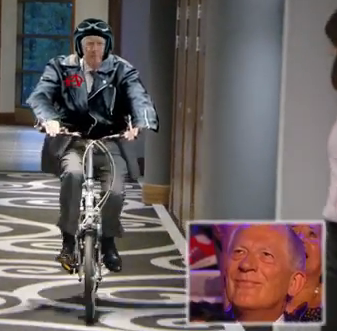 Once again the Dash proved very popular, its continued appearances on the Apprentice is keeping it very much in demand. 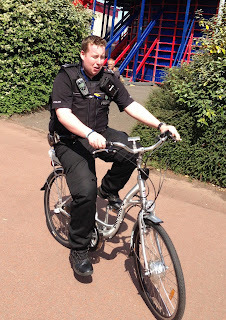 In particular the Police and St John Ambulance could really see the benefit of riding an electric bike. It certainly makes sense when you are carrying a lot of kit whether that is a defibrillator or body armour, electric motor assistance makes the load lighter. All in all we had a brilliant, if slightly warm day, but at least the heat gave us an excuse to eat ice cream! The Electric Bike Shop at Gorleston near Gt Yarmouth recently attended a Cycle Together event at Sandringham. The event was organised by the Leonard Cheshire Disability charity to raise funds for the Park House Hotel a respite holiday location for people with disabilities. The Electric Bike Shop aka Electric Transport UK is a Batribike dealer. They were showing a range of Batribike ebikes and were delighted with the reception they received. Group Captain David Cooper from RAF Marham thought the bikes were great!